Stickbold! 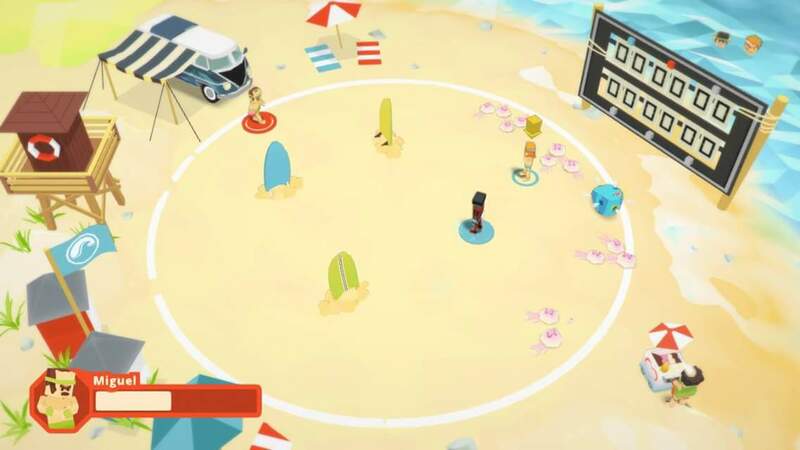 A Dodgeball Adventure Deluxe is an original party game that gives us a substantial single/double player campaign. You play as Bjorn and Jerome, whom are on a quest to find what has happened to Bjorn's rival love interest, Heidi Starbrow, on the eve of the big game. You'll fight your way through training(!! ), honey-loving hippies, old pros, and more on your quest to find Heidi and prepare for the big game so you don't disappoint the coach a second year in a row. At its core, this is a dodgeball game. The rules are simple - hit your opponent twice with the dodgeball. Once to stun them, a second time in a short period of time to eliminate them. If you get knocked out, you have the ability to revive your teammate by standing next to them for a few seconds to give them the opportunity to recover. Most matches are even, but some have you facing off against three or sometimes even more people at once. You generally have to get three points to win the match (each time you eliminate all of your opponents you get one point), but sometimes you'll be on a boss where you first have to eliminate a horde of minions (each of which only require one hit instead of two), and you just have to reduce the boss' health to zero through successive hits. You won't just be throwing dodgeballs, but a variety of other objects as well. In addition, you will be required to dodge more than just dodgeballs, but vehicles, people and guitars as well. There are also various multiplayer modes to enjoy, such as standard vs. with up to six players. There's also a crazy mode where you can do 5 vs 1 if one person if feeling particularly confident in their abilities. Then, there's the wheel of Rumpus version where each person takes a turn spinning a wheel that randomly places the participants in to a scenario from the story mode. You unlock new characters to play as you progress through the game and there's a strong 16 players in total. The game offers a lot of fun in a multiplayer setting, and is even an interesting distraction to play through on your own. The only issues that I experienced with the game are some frame rate slow down when there were a little too many characters on screen. This shouldn't be too big of an issue most of the time, but there will be some issues in 4-6 player matches where people will notice the slow down and complain about the inconsistent play that results from these hiccups. The game is set in a very stylized, simplified and pastel colored version of the seventies. It has a dance, simple soundtrack with upbeat drums to perfectly paint this world. The soundtrack, unfortunately, can start to become a bit repetitive however. Sometimes when you're playing through matches, the necessity to get three points to move on, or the amount of minions that you need to go through before you are able to make an attempt on the boss feels a bit excessive. It creates the game's challenge, but it feels a little unbalanced at times and, as a result, feels a bit more like a chore than it should. Overall, Stikbold! 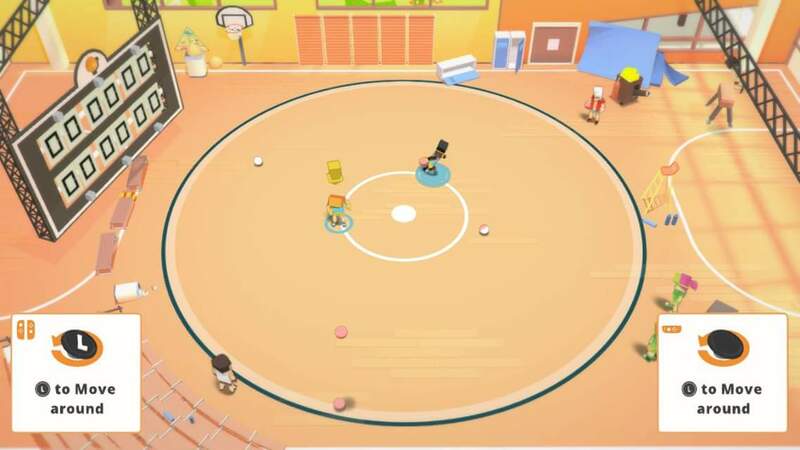 A dodgeball Adventure Deluxe feels like a great value for those that do a lot of local multiplayer and would make an amazing party game, but I don't feel that it's worth the purchase if you're just going to play the single player mode.